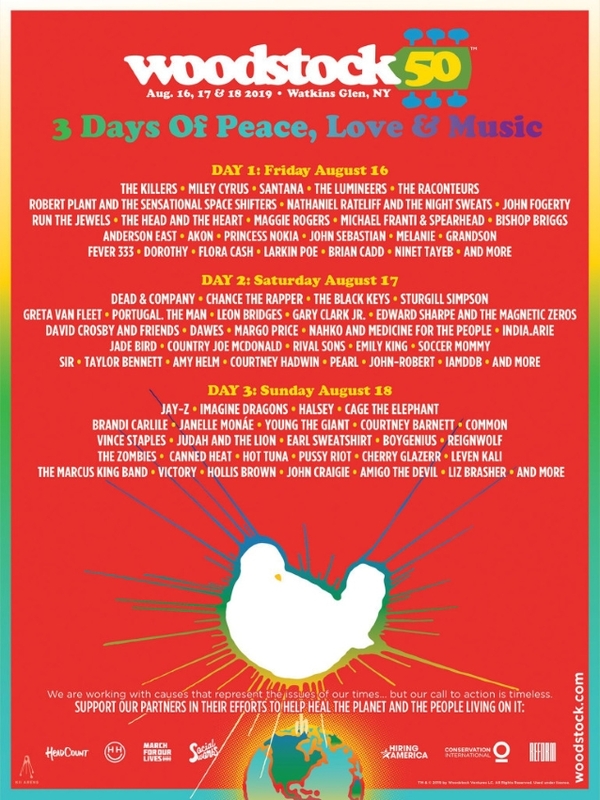 Woodstock 50 will feature more than 80 performers with both new and classic artists – some of whom performed at the original Woodstock. The festival is scheduled for Aug. 16 through 18 at Watkins Glen International Speedway in Watkins Glen, New York, which is roughly an hour and a half away from the original place of the 1969 Woodstock festival. For more information on the festival and daily lineup, head to the Woodstock 50 website.